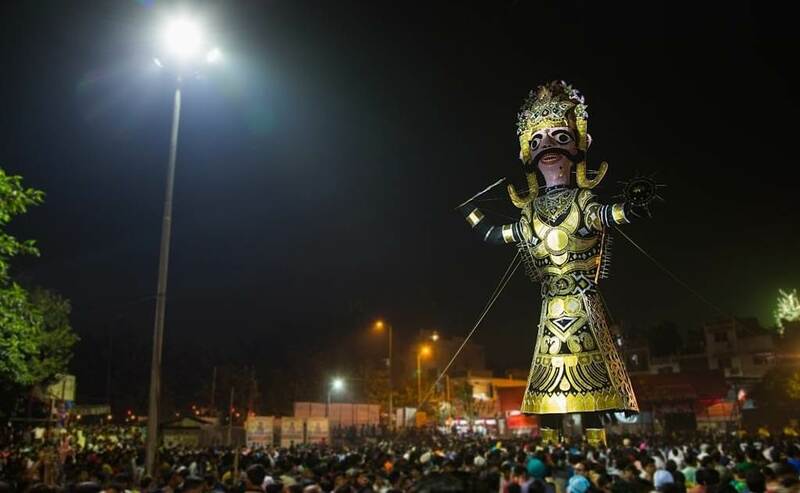 Dussehra, that is Vijayadashami is a festival celebrated in India that symbolizes the victory of good over evil. Evil is not limited to the outside world, we also need to decimate the evils or bad habits that we practice, so that negative consequences can be avoided. One of the most important rules of driving safely is being aware of your surroundings. Along with focus, you need to know what is around you, which vehicles are plying alongside, are they honking? Do they want to go ahead of you? Are you driving close to their vehicle? Playing loud music in your car will deprive you of this awareness. The voice of a honking vehicle will be drowned by loud music. Defeat the evil – Do not play any kind of music loudly while driving your car. As you must know, using a cell phone while driving is considered to be one of the most fatal distractions. Answering your phone while driving makes you lose focus. As soon as you lose focus, you are bound to make mistakes which could cause an accident. Defeat the evil – Do not Answer your phone while driving. Aggressing honking not only attributes to noise pollution but also creates chaos which could have easily been avoided. Continuous and loud honking causes a distraction to other drivers and pedestrians as well. Defeat the evil – Honk only when absolutely necessary. Not following traffic rules is a sure shot way of getting yourself in danger. When you jump a signal, you are completely unaware of the approaching vehicles and their speed. This could result in a collision of an unimaginable scale. Defeat the evil – Follow traffic rules. Do not jump signals. Not using indicators while driving is yet another example of not following traffic rules. You are supposed to indicate a direction in which you wish to turn or change a lane. Using indicators is helpful for the drivers around you. They get enough time to slow down and avoid a collision. Defeat the evil – Always use indicators while turning or changing lanes. Overtaking a vehicle might be legally allowed in certain cases, however, you need to be extremely careful while doing so. Do not overtake a vehicle from the left side of the driver. Be cautious about any approaching vehicle. A tiny mistake while overtaking can lead to life-threatening situations, especially on ghats and narrow roads. Defeat the evil – Avoid overtaking a vehicle. According to a report released in 2017, over a million people die in India as a result of overspeeding. You can lose the control of your vehicle and get into an accident. Overspeeding often create devastating repercussions like disability or death. Defeat the evil – Avoid overspeeding. Safety devices like seatbelts or helmets protect a person from injuries during a collision. Ignoring safety will lead to injuries that could have been avoided with a simple act of wearing a seatbelt or helmet. Every machine needs maintenance and your car or bike is nothing but an advanced machine. It is advised that you regularly get your vehicle serviced at an authorized service center. Ignoring the maintenance cycle of your vehicle could lead to malfunctioning and eventually to an accident. Defeat the evil – Take care of your vehicle regularly. One can become a good driver with a lot of practice. And through this practice, you will acquire road sense. If one does not have proper control over the steering wheel, has no judgment of the dimensions of a vehicle or has low confidence while driving, it may result in an accident. Defeat the Evil – Thoroughly practice the technique of driving. Defeating the above-mentioned evils of driving is not difficult. All you need to do is have a little patience and practice defensive driving. This Dussehra, let’s pledge to defeat the evils within us that may pose a threat to our and other’s lives.